The officer would have the authority to review the ecological implications of all Zionist-funded activities. The Jewish Agency would be required to take steps to improve its own environmental impact by creating tougher emission standards for all official vehicles. Impact statements will force the Jewish Agency and Keren Kayemet L’Yisrael / Jewish National Fund (KKL-JNF) to look seriously at the implications of their plans and help the agencies find ways to mitigate their direct impact on the environment and minimize many of the currently unconsidered negative externalities related to their actions. and create an open and democratic forum for the decision-making process regarding forestry management and other environmental initiatives. Work proactively to adopt strict fuel-economy and emissions standards that decrease Israel's oil dependence and air-pollution levels. Increase the availability and use of public transportation, thereby increasing the safety of Israeli roads, and eliminating the need for future highway construction. This is similar to a policy adopted by the Tel Aviv city government. Support the passage of United States-Israel Energy Cooperation Act (H. R. 2730). “To establish a grant program to fund eligible joint ventures between United States and Israeli businesses and academic persons, to establish the International Energy Advisory Board, and for other purposes.” Support grassroots and community initiatives that connect children, professionals and the general public in Israel with contemporaries in the Diaspora over environmental and ecological concerns. 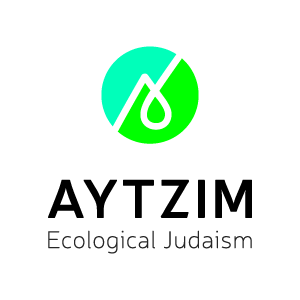 Encourage all educational institutions funded by the Zionist movement to integrate ecological education topics into their curricula and programs. Environmental issues are not confined to political or social borders. We support peace initiatives and collaborations that are essential in solving regional environmental and social problems. As peace in the Middle East moves nearer to fruition, Israel must stand as a regional leader for environmental protection. By deliberating on environmental issues with her neighbors, Israel will begin to form close working relationships with countries in the region and promote peace with Jordan, Egypt and the Palestinians. We will work with under-represented communities, including those in the geographic peripheries, the inner-cities, and among the Israeli Arab and Israeli Bedouin communities to find solutions to their environmental concerns.